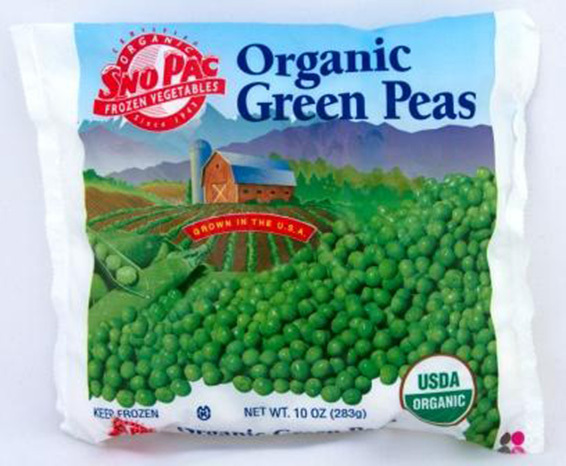 Our specialty... no one grows peas like Sno Pac. Harvested at just the right time to give you the tender garden fresh flavor you desire. 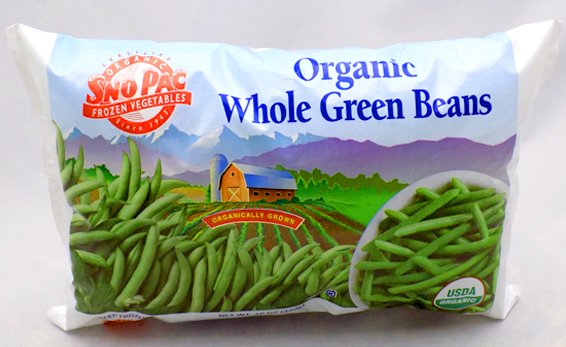 These beans offer dark green color and real bean flavor associated with midwest grown green beans. 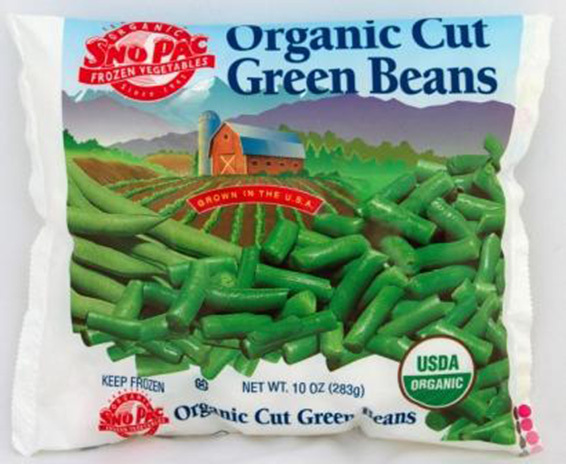 Uncut, frozen and packaged at the peak of freshness with the tasty Midwest home-grown bean flavor. 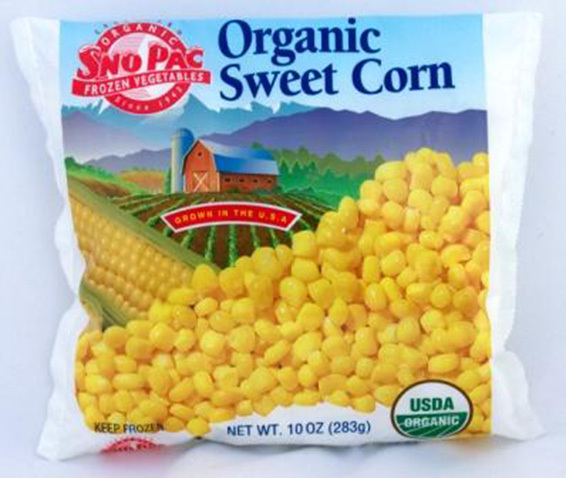 Super sweet corn, cut and processed at its peak of freshness. 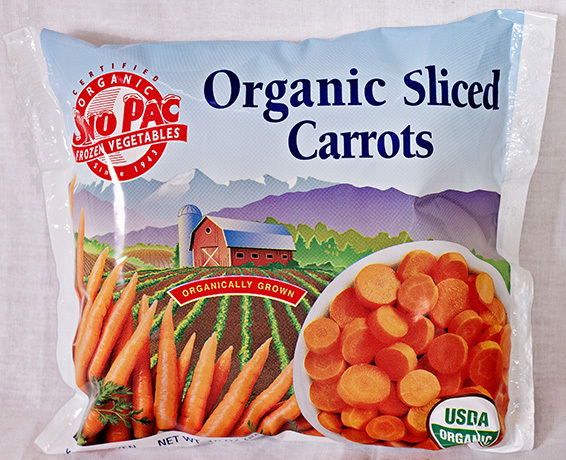 Delicious coin cut carrots are great for a quick side dish and they are easy to add to your soup or hot dish. 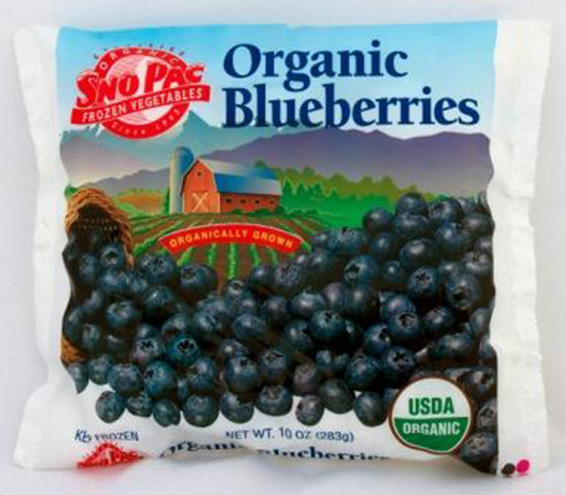 let Sno Pac do it for you! 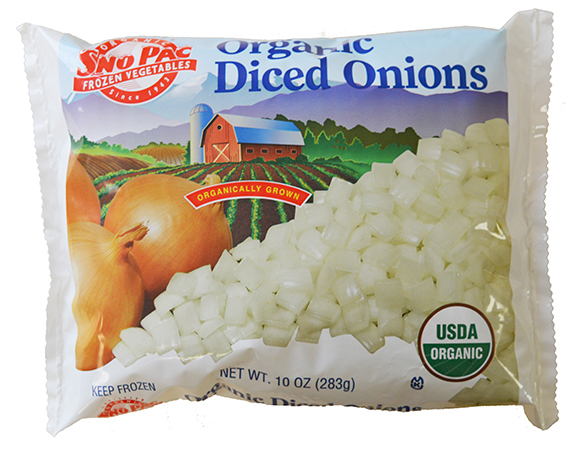 Our diced onions are handy to have in the freezer so you can add a little or a lot to your meal. 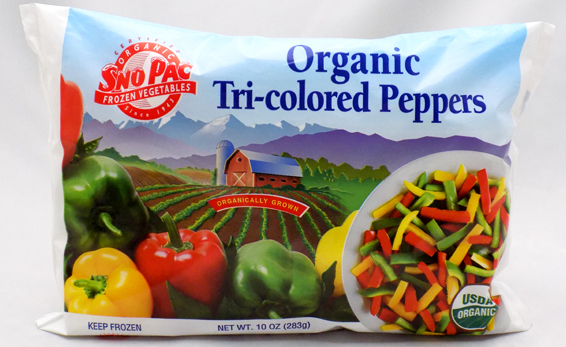 A colorful blend of organic red, yellow and green bell peppers. Add to your favorite pastas, salads or original recipes. 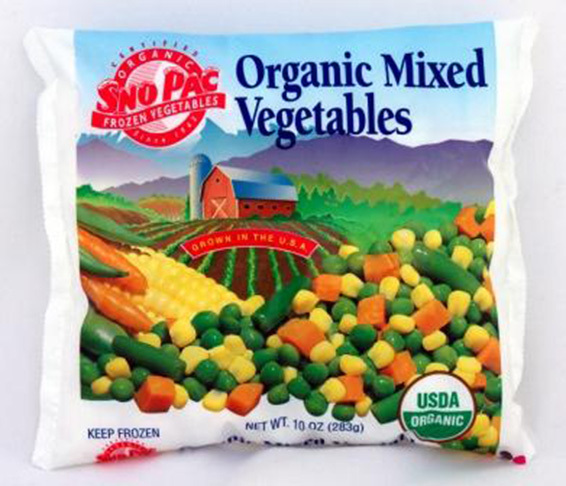 A colorful blend of peas, corn, green beans and carrots make a tasty vegetable dish that makes a meal. The quickest way to make soup! 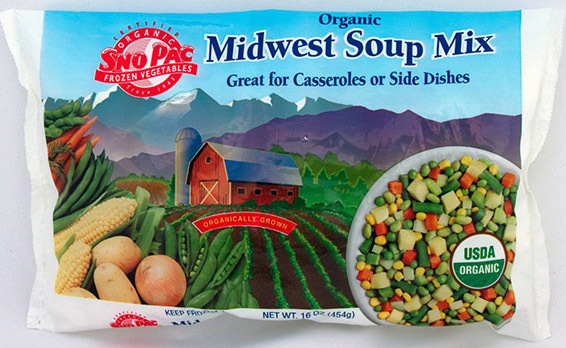 We blend our organic potatoes with our organic peas, carrots, corn, green beans, celery, onions and soybeans. All you need to do is add your broth and meat. 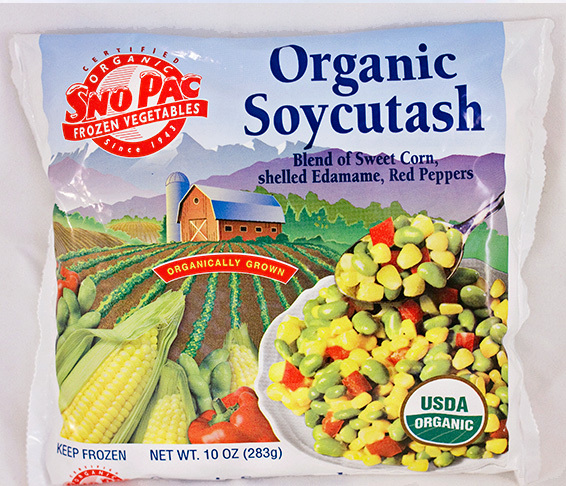 Sno Pac’s spin on succotash - we blend corn, red peppers, and shelled edamame into this tasty treat. 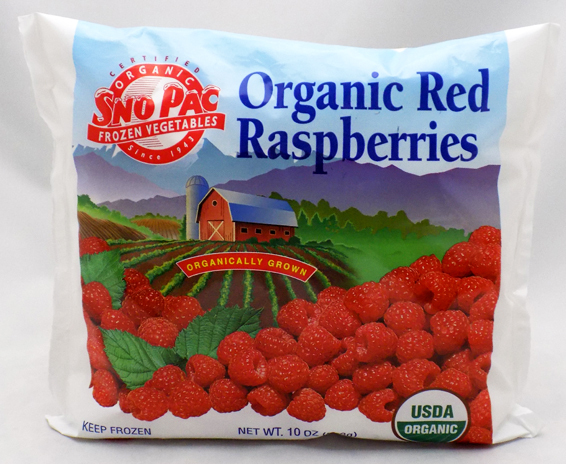 Enjoy as a side dish or include into your hot dish or salsa! 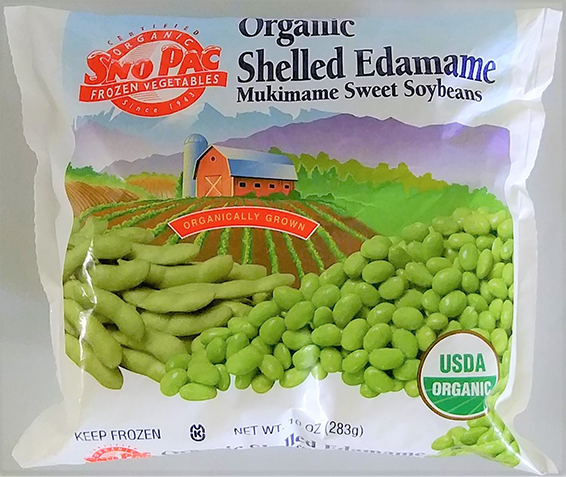 Organic edible soybeans (shelled edamame) harvested when soybeans are immature and sweet. 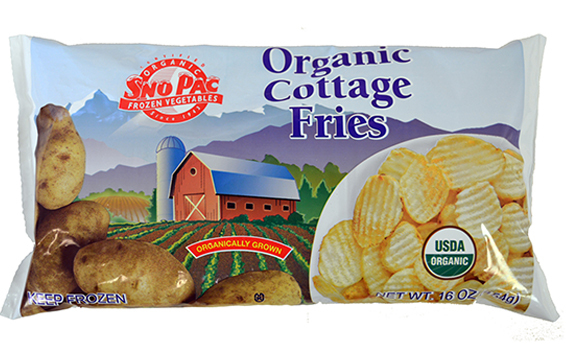 Crispy, golden potato slices with a crinkle cut texture. They’re the perfect base for scalloped and au gratin potatoes. They can also be baked, pan-fried or deep-fried and served as a side dish. 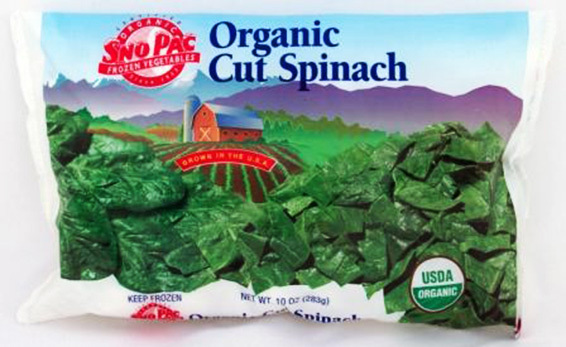 Carefully selected, this high quality delicious spinach tastes like garden fresh, year round. 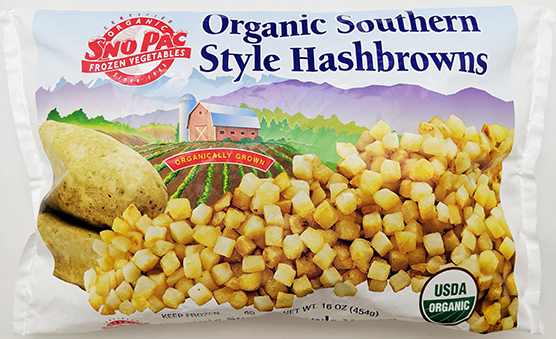 Tasty diced potatoes, prepared for your convenience, ready to pan-fry for breakfast, dinner or supper. 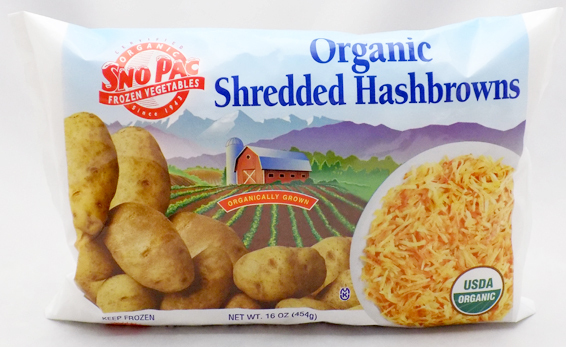 Midwest grown organic potatoes shredded and frozen to preserve the genuine potato flavor. The perfect breakfast side dish or cheesy hash brown/casserole base. 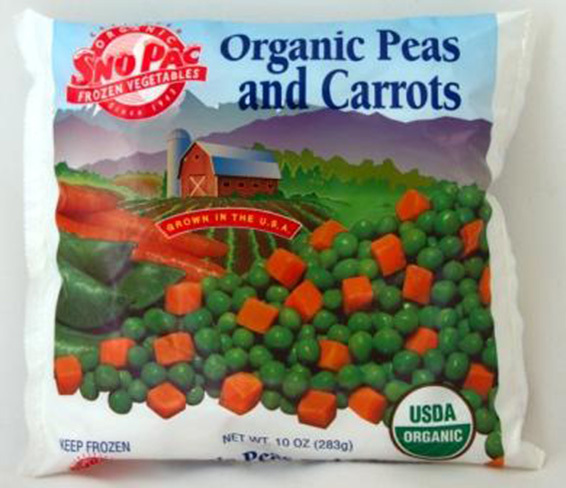 Peas and carrots - a colorful blend that tastes great. 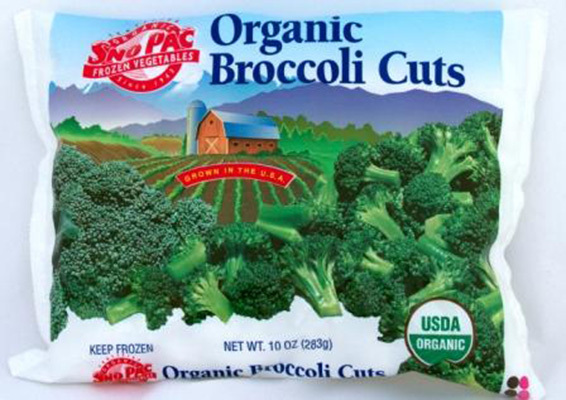 Tender young broccoli, cut and frozen for your convenience. Enjoy this delicious vegetable with your meals. Enjoy this fall favorite all year round. 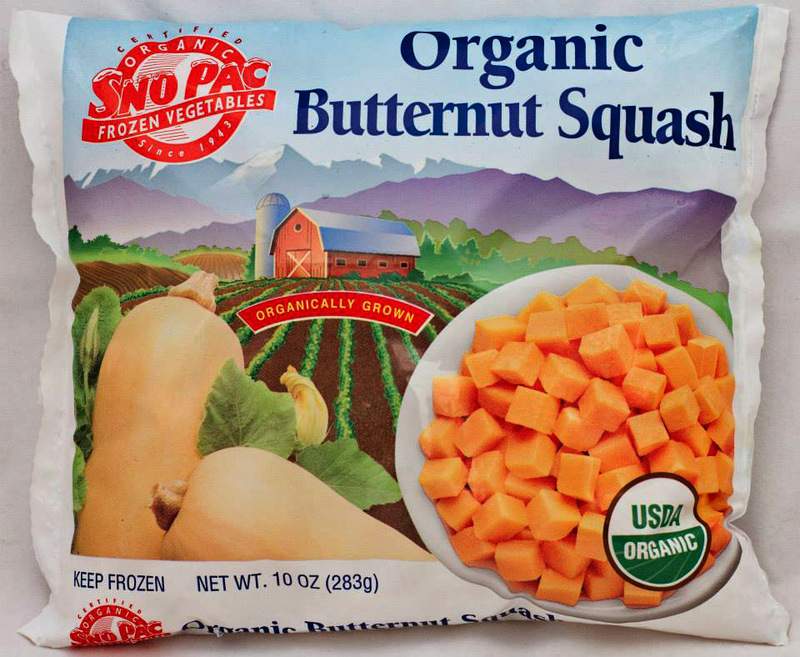 Our squash is already diced and ready for the oven or to add to your favorite dish. Edible soybeans in the pod; delicious, good for you, and fun to eat. Grown in Minnesota. 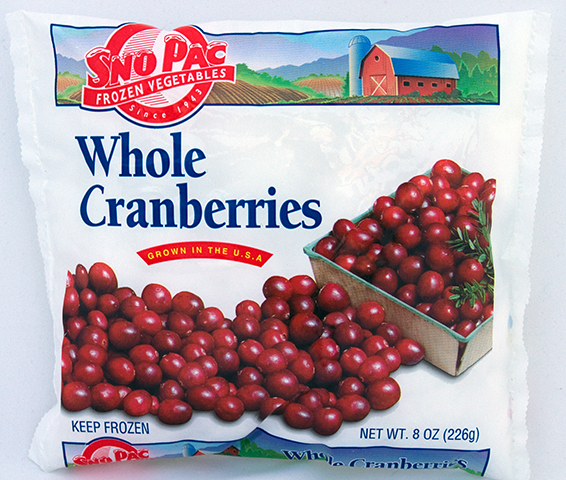 The delicious fruit that everyone enjoys...alone, in your baking, or over ice cream. 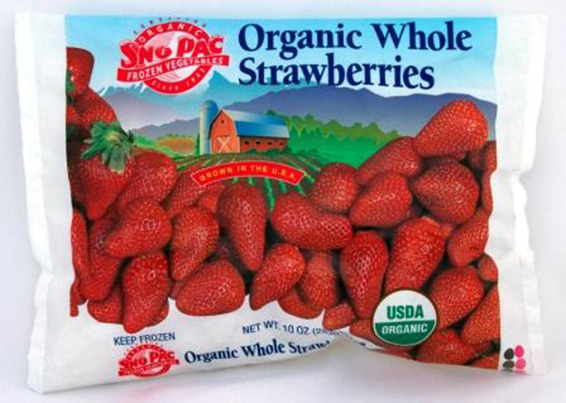 Whole strawberries ready to use in your baking and desserts, or just enjoy these delicious berries as a treat. 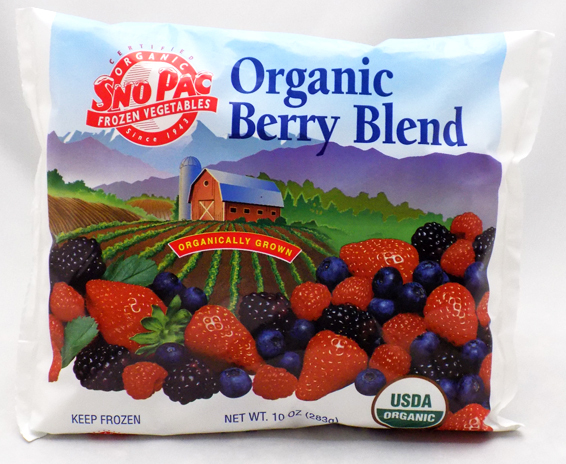 A beautiful blend of organic red raspberries, organic blueberries, organic blackberries and organic strawberries. Mix with our frozen juice concentrates for the perfect smoothie. Rich and vibrant in both flavor and color. Blend with your favorite yogurt for a tasty and healthy dessert alternative. 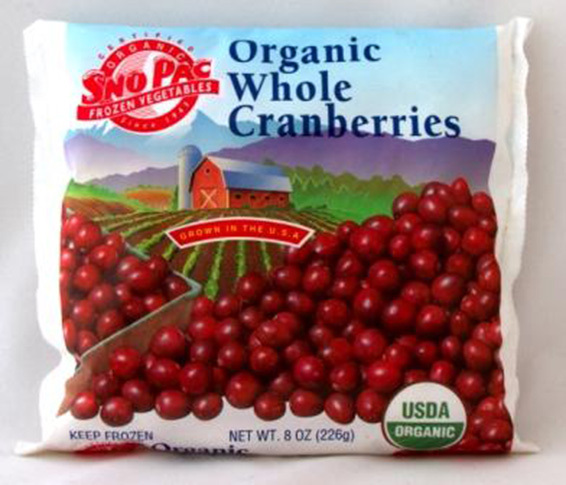 Our organically grown and regionally sourced whole cranberries make the perfect base for your homemade cranberry sauce and other holiday favorites. Enjoy them in good health!